At the Helsinki Distilling Company we are bringing (private) distilling back to Helsinki, after an absence of over a hundred years. HDC distillery has a big glass wall directed to the street, so that everyone can see them making whisky and other alcohol. Pretty cool idea if you ask me, would be nice to pay a visit in there. They were the third whisky distillery to start production in 2014, along with Valamo Monastery Distillery and Kyro Distillery Company. One of the founders is Irish, so basically there has to be some whiskey sense behind this company. Not saying that Finns don’t know a thing or two about whisky, but if there’s either Irish or Scottish people involved, it immediately gives a certain amount of credibility to a whisky company. The Helsinki Distilling Company will have a large repertoire of products as soon as they can add whisky into their core range in 2017. They already offer gin, applejack, akvavit and other low ABV alcoholic beverages. 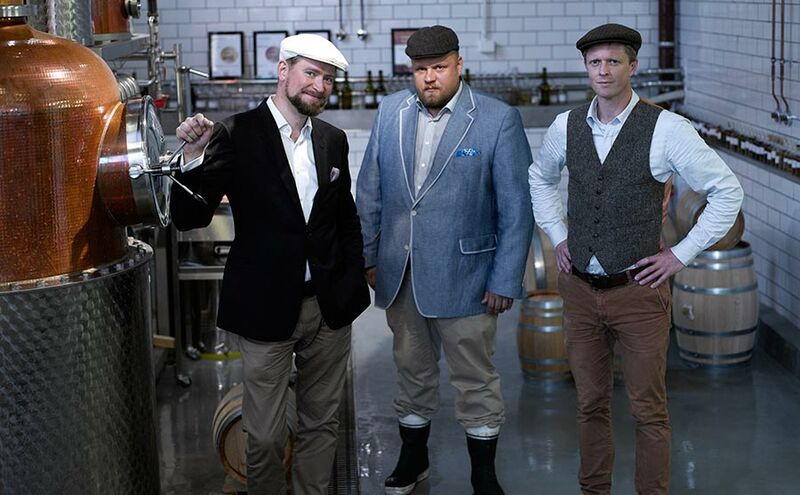 Along with Kyrö Distillery, Helsinki Distilling Company has already made some fame with its gin. Helsinki Dry Gin won Gold in The Spirit of The Year 2016 competition in Destille Berlin Craft Spirit Festival event. Helsinki Dry Gini is dry and sharp, flavored with juniper, lingonberry, fennel, coriander, garden angelica and iris roots, lemon and sour orange peel and rose petals. What about the HDC Whisky? Helsinki Distilling Company’s whisky will come to retail market in 2017. First they are going to mature whisky in 32 and 64 liter casks but eventually they will fill up bigger, 200 liter barrels too. 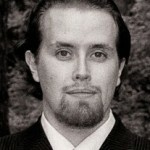 I am very excited to tell you that along with Kyrö Distillery (again…I know), they are going to produce Rye Whisky. HDC Ryes will be matured in medium charred new oak casks – French and American casks. They offer a limited number of 28 or 55 liter casks for people interested in buying their own casks. 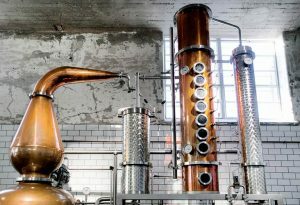 Helsinki Distilling Company will also make Single Malt Whisky. HDC Malts will be matured in used cask, but I don’t know is it bourbon or sherry casks. Probably both, at least when they’ve managed to produce enough Single Malt distillate for maturing. Their products will include both, unpeated and peated single malt whiskies. So I’m looking forward for their range, which sounds quite large. Of course the reality will be, that their product range will grow bigger over time – so probably the start of their whisky launch will have only Rye and one or two different Single Malt Whiskies. HDC has made realistic future plans, I must say. They are planning to be bigger in the future, but they’ll start with 20 000 liter annual production capacity. 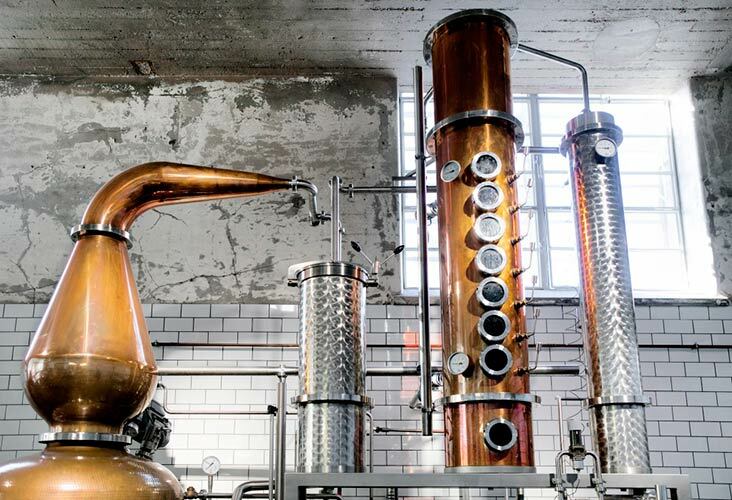 The Helsinki Distilling Company has a 300 liter copper still with whisky helmet attached, by Carl GmBH from Germany. The mash bill gets a 2000 liter tank with double bottom. I think I already like this Finnish whisky distillery. They have ambition and they are determined, setting goals for big production and wide range. Yet they are moderate, keeping things realistic while trying to gain ground in the industry.